The Hall of Justice originally built in 1925 and considered one of the oldest landmarks in downtown Los Angeles. This structure had been shuttered for 16 years due to the damaged caused by the 1994 Northridge earthquake. Several attempts to rehabilitate the building have since failed. The most recent was haltered six years ago due to questions over the extent of the damage and the cost of restoring the structure, which was then estimated at $285 million Dollars. 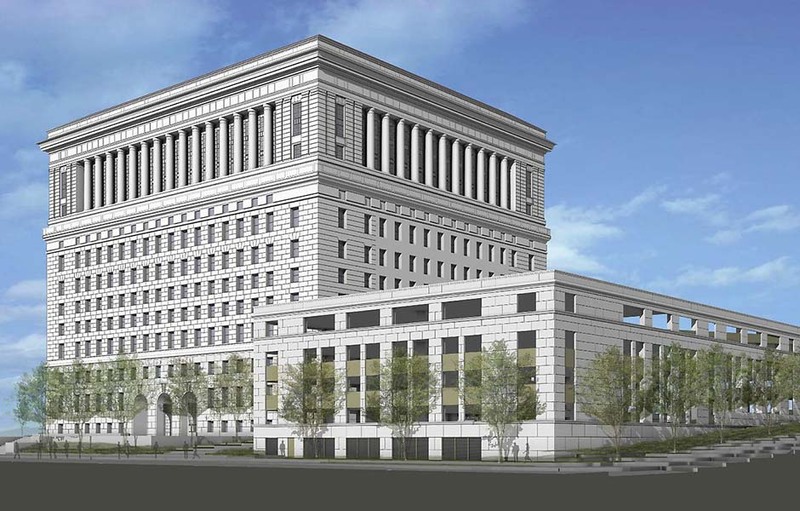 In November of 2011, The County Board of Supervisors approved a $244 Million Dollar rehabilitation Project to this 14-story Hall of Justice which will make all of downtowners rejoiced. VCA Engineers, Inc. provided civil engineering services for both onsite and offsite improvements for the project. The civil component included hardscape and development of a new 1,000 car parking structure. VCA also was responsible for the site control, grading and drainage design, utility connections for the new building and other site infrastructures, design elevations for paving and grading, ADA compliant sidewalk, drainage of the road and intersections. In addition to the civil scope, VCA provided the design of site infrastructures such as pavements, curb and gutter, sidewalk, planter walls, site concrete stairs and ramps, screen walls and retaining wall. Standard Urban Storm Water Mitigation Plan (SUSMP) was also provided as required by the Storm Water Resources Control Board (SWRCB).